These excellent photos of the B-2 Spirit Stealth Bomber were taken by our photographer Bill Whiffen with a 500mm lens in the early morning light over the Nellis Ranges. 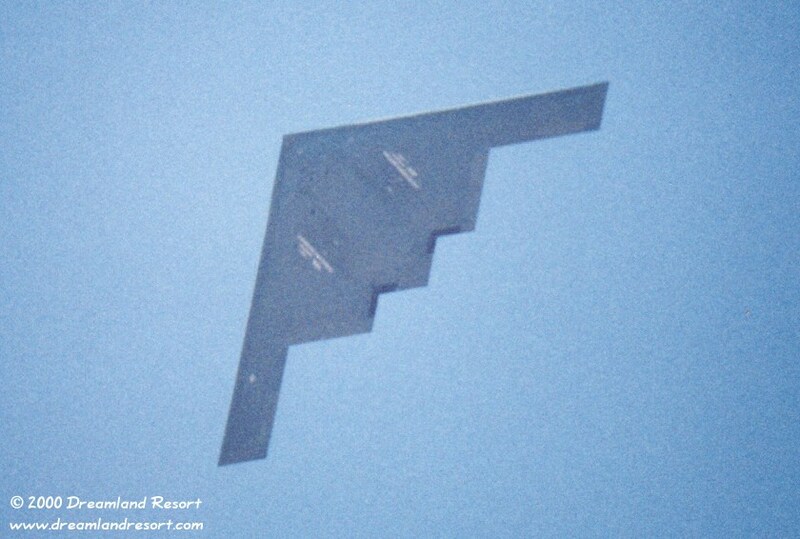 The B-2 can often be seen doing exercises in the airspace north of Area 51 between 7am and 8am. Sometimes you can see it refueling right over Rachel. 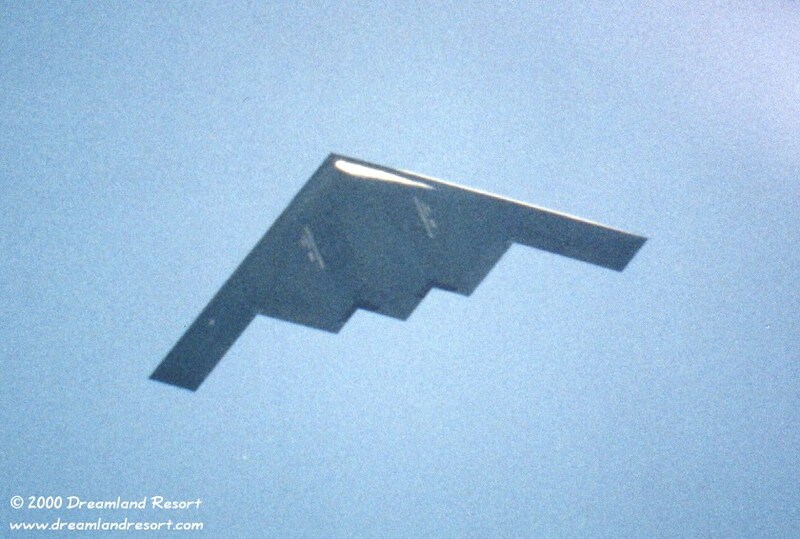 The first B-2 was publicly displayed on Nov. 22, 1988 at Air Force Plant 42, in Palmdale, CA. Its first flight was on July 17, 1989.